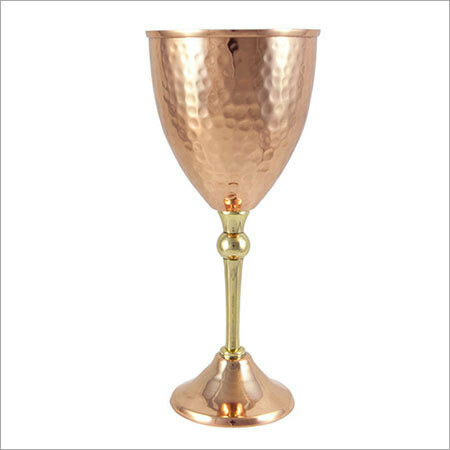 Outstanding designs as well as exceptional functionality of copper goblet wine cup ensure to add a striking look to the parties. We have been offering durable and strong assortment with elegant look to provide the clients with a perfect option to add star to your parties. Our range is designed in creative designs and styles to provide the clients with a matchless collection for serving your guests with warmth and style.